2. 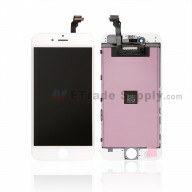 Digitizer Touch Screen Panel. This item does NOT include Front Housing Frame. Notice: Please test the functionality of this item before installation! This Huawei Nexus 6P LCD assembly is black. This screen replacement for Nexus 6P is branded without any logo on the screen. 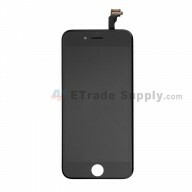 This LCD display with touch screen replacement is 100% new and original, it's worth for you to own it. This screen assembly replacement is compatible with Nexus 6P only. Excellent Service and product. Speedy delivery and great customer care. Highly recommended. The screen is working as expected and the price was great.